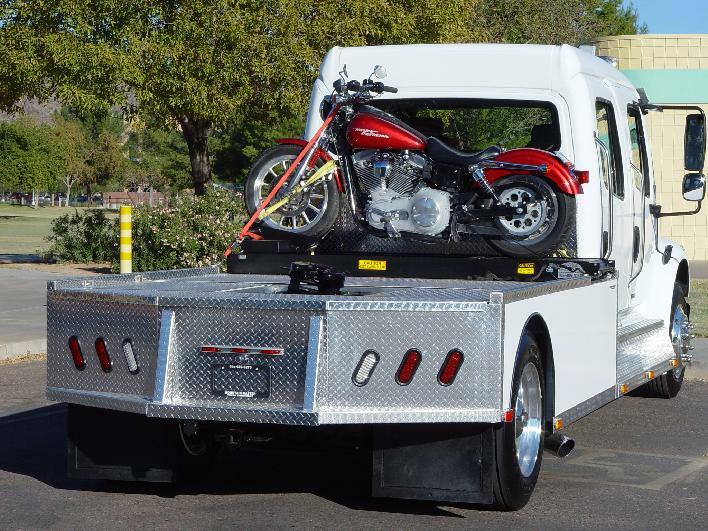 The Mountain Master loader allows for one person to load a motorcycle in about 15 minutes and still hook on and pull a 102" wide trailer! 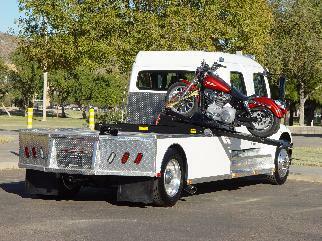 Powered by a dependable 12 volt winch loading your bike is as easy as pressing a button. One Bike not enough? 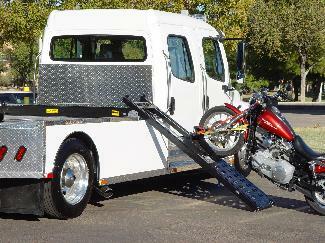 Mountain Master also offers configurations for two bikes behind the Cab! Call today so we can custom build your dream Truck.